Right now we have limited stock of Fluke ex-demo equipment. Please see the list for demo units that are currently for sale. All ex-demo units of Fluke equipment are sold on a standard 8 week delivery with an accredited calibration where possible. Check the actual availability, because stock is limited. 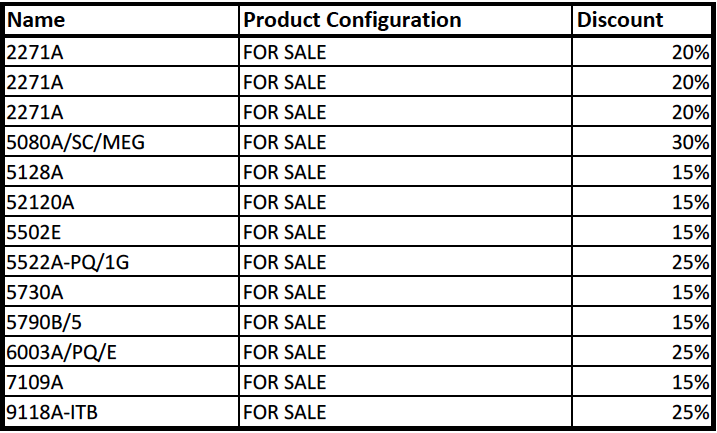 Please see the list below for demo units that are currently for sale. Please note that this list on the website is not being updated constantly.